A large thunderstorm located near Dover, Oklahoma in Kingfisher County is moving to the southeast at 20 miles per hour, generally in the direction of the Oklahoma City metro. The National Weather Service forecasts the storm is capable of producing up to tennis ball size hail. A severe thunderstorm warning is in effect for Kingfisher, central Blaine and northwestern Canadian Counties. 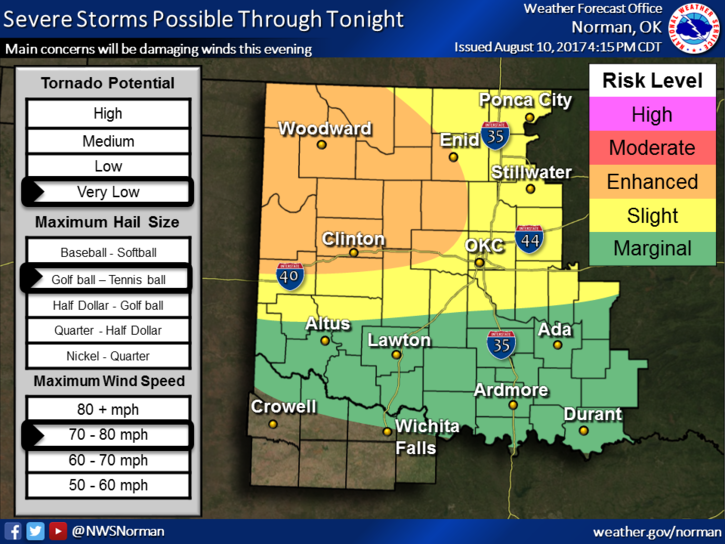 The National Weather Center forecasts the first round of storms could move through northwest Oklahoma around between 4:00 and 7:00 p.m. 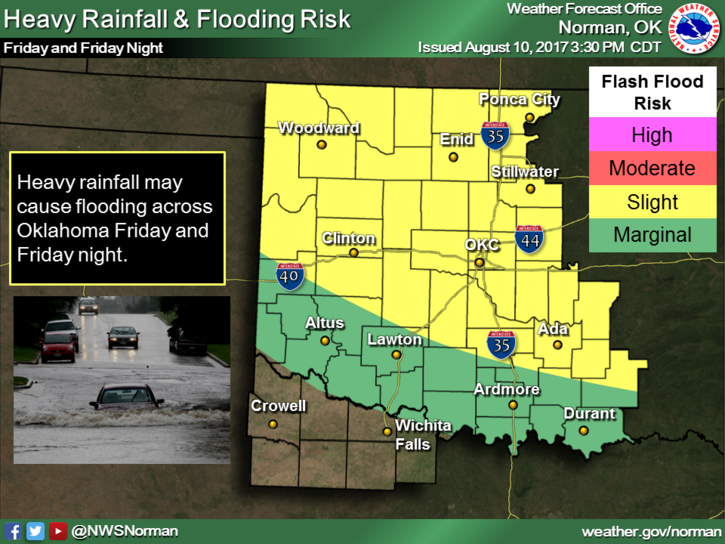 The second round of storms could be more intense, and is expected to impact the area between 7:00 p.m. tonight until 4:00 a.m. Friday morning. 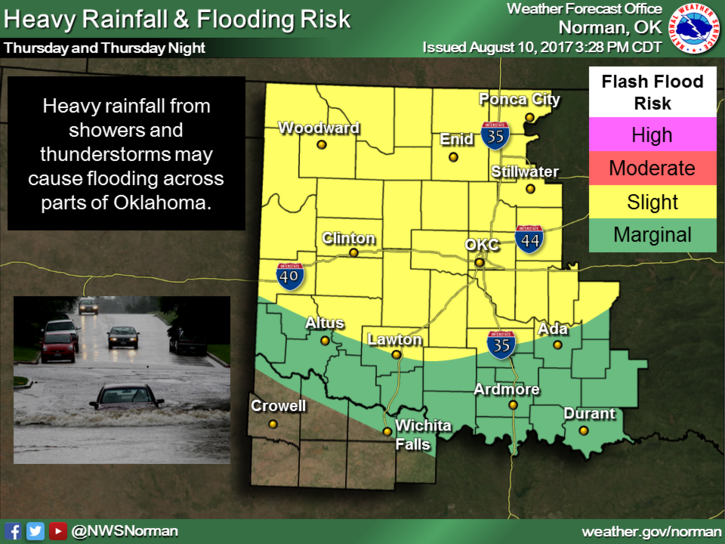 Cities that could be affected include Woodward, Alva, Enid, Clinton and Weatherford. Golfball-sized hail and strong winds up to 65 miles per hour are the main threats with the first storm system. Winds up to 75 miles per hours are possible with the second storm, with smaller hail. 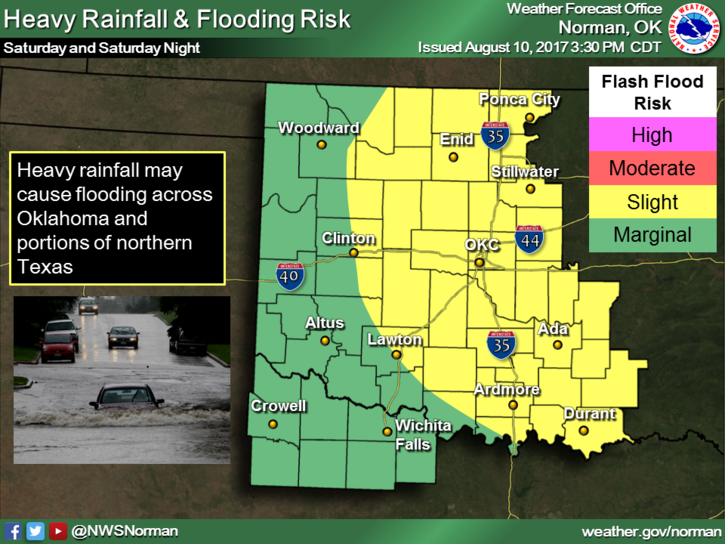 High rainfall totals and flooding are possible. The first line of storms is not expected to impact the Oklahoma City metro area. The second storm system could bring rainfall to the metro after 10:00 p.m. tonight. A chance for rain will continue in the metro through at least Monday. Several inches of rainfall may occur, and thunderstorms are possible each day. A severe thunderstorm watch is in effect until 9:00 p.m. this evening.